It takes time to raise awareness on any issue. Flint, Michigan suffered some of the worst first world water crisis' we have seen in a long time. It took no less than three years for the problem to be identified, the public to become aware, the public to make demands, and then finally for incremental movement to be made toward a solution to the problem. The Chesapeake Bay, considered one of the dirtiest bodies of water in the nation has been in 'clean-up' mode since 1983 when the EPA formally acknowledged that the Bay was in distress. That was 30 years ago! Movement didn't happen toward clean up until a tipping point occurred where awareness and outrage intersected to spur ACTION. 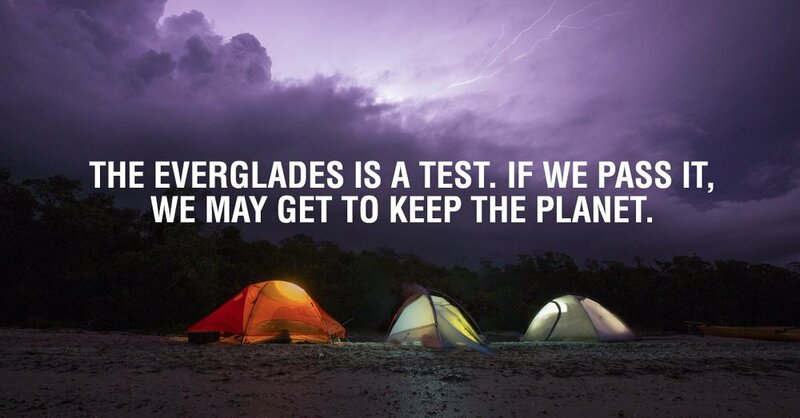 The Everglades has been in 'clean-up' mode for decades as well. Awareness campaigns have been ongoing for decades. Millions of Floridians have been affected by water mismanagement for decades. It is time for us all to take ACTION. Today, getting involved in moving Everglades Restoration forward is a matter of getting on the phone with Governor Rick Scott and telling him we are paying attention, and that we want him to cancel land leases in order to enlarge the land area for the planning and implementation of the EAA Reservoir. We are aware of the issues. We now need to move in to action mode on the EAA Reservoir, or risk losing the potential for impact that this component of CERP can have on the Florida Bay - not to mention the St. Lucie and Caloosahatchee estuaries. We urge you to make your case to Governor Scott TODAY. Visit the NoworNeverglades website to take direct action. Older PostEAA Modelling: Whose side are we On?